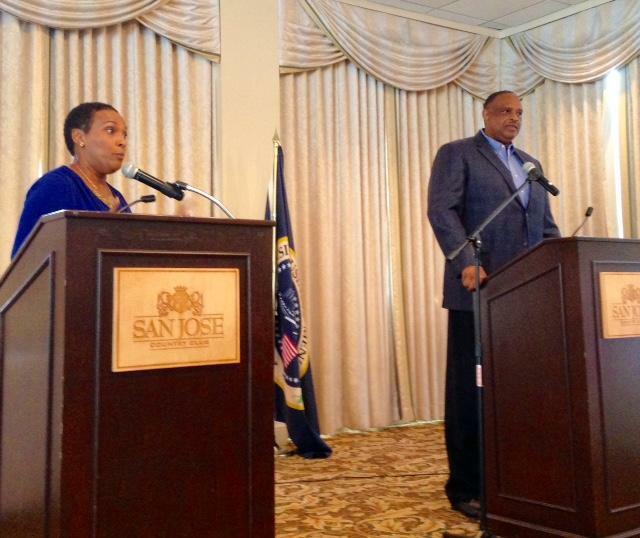 Glo Smith and Al Lawson debate at San Jose Country Club on Wednesday, Oct. 12. Lawson defeated Brown in the August Democratic primary after her district was redrawn to include Tallahassee. Brown also faces several federal fraud charges related to her alleged involvement in a fake charity. On Wednesday, Lawson said his top three priorities are education, the environment and jobs. Smith put jobs first, followed by military affairs and education. Debate watcher and Jacksonville military vet Targan Wehye-Jones said neither of their answers on military spending swayed her. Both candidates said they favor deepening the St. Johns River to bring cargo ships into Jaxport and create jobs. About international trade, Lawson said he’s in favor of the Trans-Pacific Partnership. Smith said she would vote against the TPP as it is now, but would be in favor of it, if it were made fairer to Americans. According to Lawson's campaign website, he's a longtime agent with Northwestern Mutual Financial Network, as well as owner and publisher of the Capital City Black Pages business directory and shopping guide. Learn more about him here. Smith is a Jacksonville native who has owned a business and is married to a state attorney's office investigator and former state trooper, her website says. Learn more about her here. 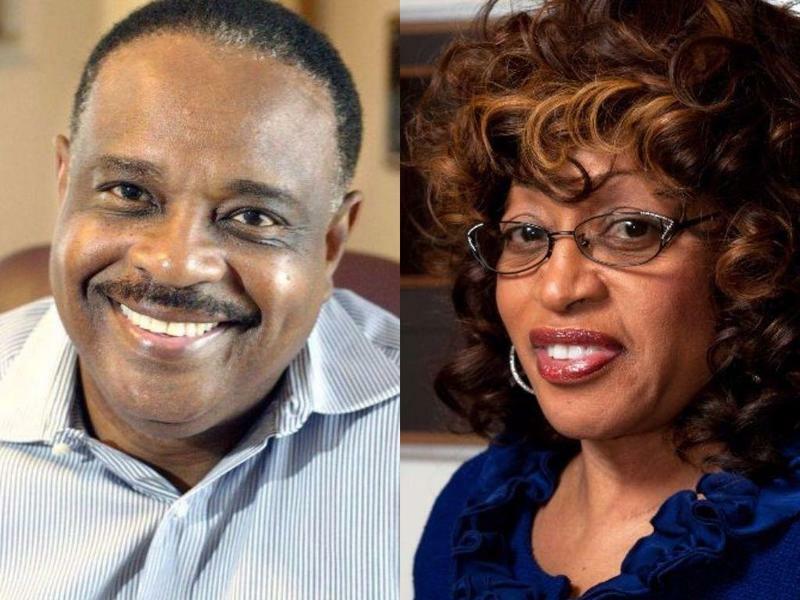 Former Democratic State Senator Al Lawson defeated 12-term District 5 Congresswoman Corrine Brown in the Democratic primary Tuesday night. 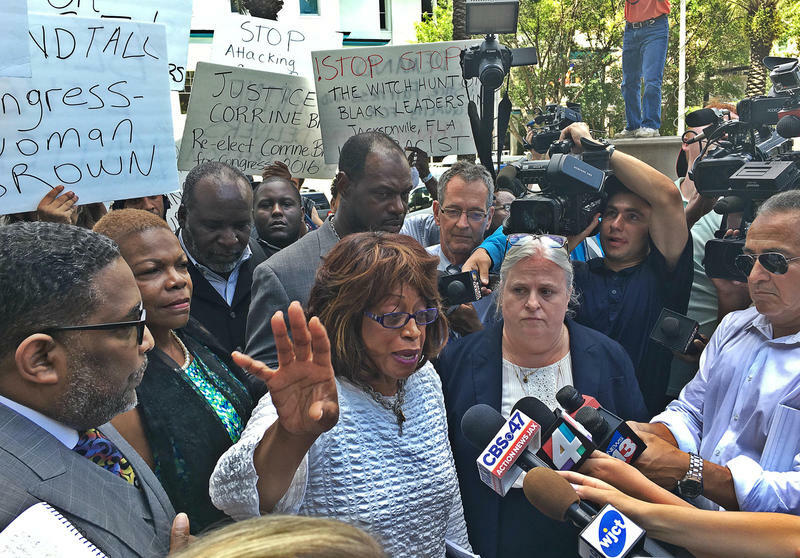 The fraud trial of Congresswoman Corrine Brown will be postponed by a month after a judge ruled Tuesday she needs more time to find a new lawyer. Federal Judge James Klindt granted her previous lawyers’ request to be dismissed from the case; it’s the third set of lawyers who’ve departed from Brown since her indictment. Departing Florida Congresswoman Corrine Brown is soliciting online donations to support her legal defense fees in her federal corruption case. “On this website, you can make a donation to my legal defenses fund. Any contribution would be greatly appreciated,” Brown wrote on the Corrine Brown Legal Expense Trust website. The site also said she was “falsely accused” by the federal government of conspiracy and fraud, and how the charges were filed “immediately prior” to her Aug. 30 primary election.